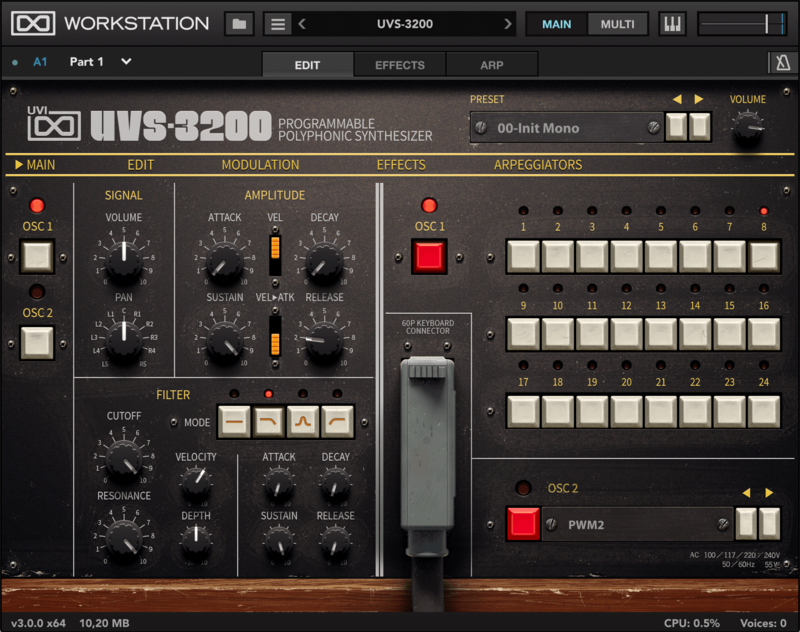 UVI has launched a sale on the UVS-3200 virtual instrument, offering a 38% discount on the tribute to the rare 48-voice Korg PS-3200 synthesizer. 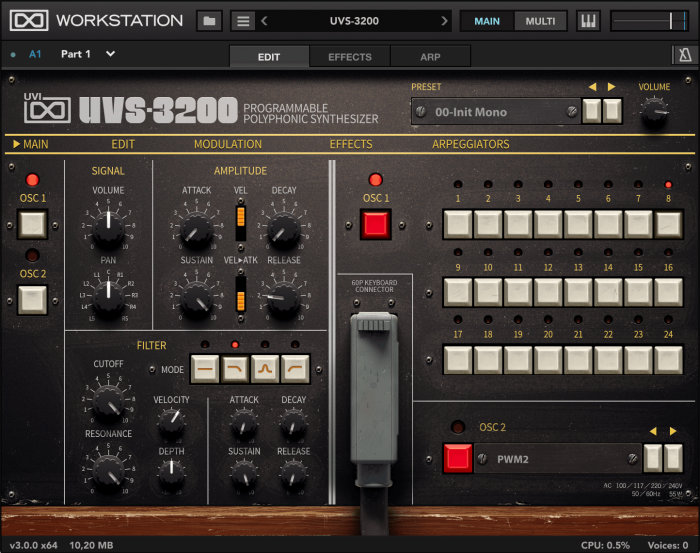 UVS-3200 is a deeply editable instrument with pristine sound quality that comes with over 220 patches, covering classic and modern styles. UVS-3200 breaks from the ordinary with its rich, warm character from the golden age of analog.Inspired by the rare and singular Korg PS-3200, it is the convergence of a collector’s dream and modern flexibility. Contemporary controls and tones mix with vintage aesthetic and sounds to create a monster that is totally out-of-time. UVS-3200 for the free UVI Workstation and Falcon is on sale for 49 USD/EUR through January 21st, 2019 (regular 79 USD/EUR).